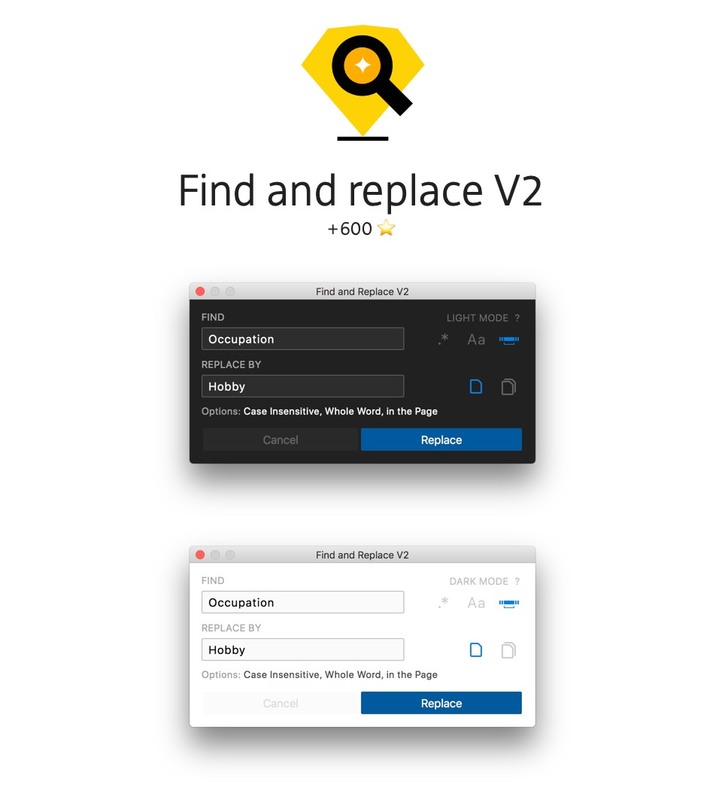 Want to be notified of new releases in thierryc/Sketch-Find-And-Replace? Folow me on twitter to be posted. "John Smith" to "Smith John"
Follow me on twitter for more tips. If you have any problems, or ideas, please open an issue! V1 Created by Martin Steven - @mscodemonkey - Thank you Martin. V2 Created by Thierry Charbonnel - @thierryc. V1 and V2 Maintained and improved by Thierry Charbonnel - @thierryc. Thanks to Aby Nimbalkar - @abynim - for the SketchPlugin-Remember code to save user settings. Thanks to Autre Planete - @thierryc - for writing the code to change text within symbol overrides. Thanks to Vincenzo Petito - @vincenzopetito - for code within Shapr showing how to focus the text field on start and tabbing between input fields found within the dialog. Thanks to Sean Dellis - @seandellis - for his help, test sketch doc and issues review. Thanks to @iconmaster - for his test.